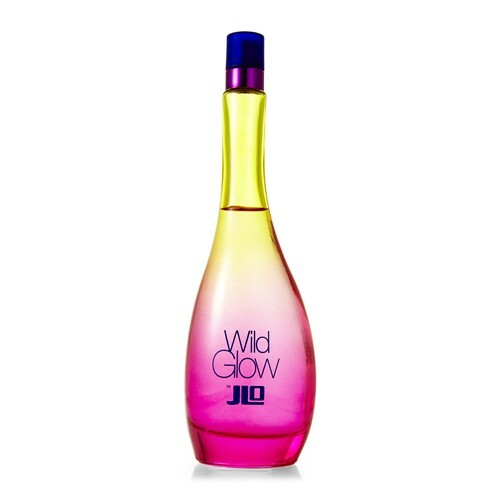 Jennifer Lopez launches a new fragrance from the Glow line (the debut came out in 2002) under the name of Wild Glow. Wild Glow is a limited edition that comes out in December 2014, inspired by the upbeat rhythm of music pulsing through the crowd and bright lights that represent joy of life. It is announced as a floral-fruity composition that pulsates with energy. Wild and energetic, the new fragrance celebrates freedom, beauty and happiness. It opens with a fruity blend of mandarin, black currant and tropical fruits. The floral heart of star jasmine, heliotrope and lily of the valley is laid on the base of sandalwood, musk and vanilla. It is recommended for daytime wear.